The chairman of the House Judiciary Committee today called for U.S. Attorney General Eric Holder to appoint a special counsel to probe potential abuses of power under the Bush administration. House Judiciary Chairman John Conyers (D-Mich.) has called upon U.S. Attorney General Eric Holder to appoint a special prosecutor to look into alleged Bush crimes. 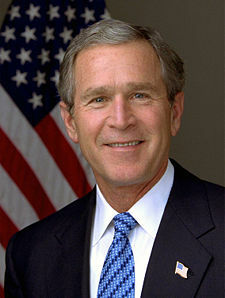 Holder has continued a rather transparent effort to block or curtail any investigation to prevent the prosecution of Bush officials for the torture and surveillance programs. Conyers has long struggled under limitations imposed by Democratic leadership, including reportedly Speaker Nancy Pelosi who did not want to see investigations into torture or surveillance — programs that Democrats knew about. Conyers himself has been viewed as a defender of civil liberties and privately favoring an investigation for years. Holder needs to stop trying to find a way to game the system and control the outcome. He needs to appoint a special prosecutor without restrictions to look into criminal acts ordered by the Administration, particularly in the areas of torture and surveillance. No one expects the prosecution of low-level CIA officials. It is the mid-level and high-level officials –including President Bush, Vice President Cheney and others — who would be the most obvious targets of such an investigation. For years, people have asked me what they can do to push for accountability for war crimes. Now, you have your opportunity. Write and call your members in the House and the Senate to demand that they publicly call for a special prosecution without limitations to investigate the torture and surveillance programs. Demand more than just a letter to you. 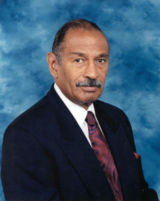 Members need to follow Conyers and join a public effort to demand a special prosecutor. People can also press their local newspapers for editorials in support of this call for a special prosecutor. With his speech at the National Press Club, Conyers has broken free of the reprehensible effort in Congress to cover-up possible war crimes and, in so doing, has protected his own legacy in Congress as a civil libertarian. Our war crimes are being taken up by the UN. What does this say aobut the United States, the DOJ and the rule of law? “NEW YORK- Charging that the U.S. government was complicit in the forced disappearance of an influential Muslim scholar four years ago, human rights groups in the U.S., the U.K., and Switzerland have asked the U.N. to investigate. In a letter to the U.N., the organisations say Mustafa Setmariam Nassar, a Spanish citizen, was arrested by Pakistani officials and handed over to U.S. officials in Oct. 2005 and has not been heard from since. The letter was sent to the U.N. Special Rapporteur on Torture, Manfred Nowak, the U.N. Special Rapporteur on the Promotion of Human Rights While Countering Terrorism, Martin Scheinin, and the U.N. Working Group on Enforced or Involuntary Disappearances. It was signed by the American Civil Liberties Union (ACLU), the London-based legal charity Reprieve, and Alkarama in Geneva. In Jun. 2009, in response to an ACLU request for information about Nassar’s whereabouts, the U.S. Central Intelligence Agency (CIA) said it could “neither confirm nor deny the existence or nonexistence of records” concerning Nassar. It’s about freekin time someone at the higher levels of the legislature started skwaking about the need for these investigations, and hopefully prosecutions, to proceed. I am absolutely flabergasted that the Obama administration is blindsiding this effort, I can’t really figure out why. 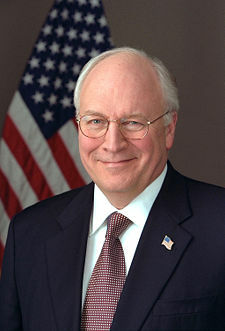 Bush, Cheney, Yoo, et al, NEED to go to prison, they are the most serious attempt at a coup in this country for long time. Who knows what they would have done with a little more insanity. I keep wondering when the full truth will be known. Americans are being psychologically harassed in communities across this county and it would appear that there may be government involvement. The mere mention of these harassment campaigns raises eyebrows and complainants are dismissed as “delusional.” Some who report these crimes (surreptitious home entries, vandalism of property, persistent surveillance) may have been a little crazy in the first place and others have probably been tipped in the direction of “crazy”, but some are as sane as the next guy (which, I’ll allow, may not be saying much). I’m a mental health professional — I first heard about this from patients and kept an open mind. I’ve seen it myself now, but it’s so incredibly unbelievable that it continues. How it’s going to be exposed and stopped is quite beyond me. That it must be stopped is a certainty. This summer, on a remote stretch of desert in central Utah, the National Security Agency will begin work on a massive, 1 million-square-foot data warehouse. Costing more than $1.5 billion, the highly secret facility is designed to house upward of trillions of intercepted phone calls, e-mail messages, Internet searches and other communications intercepted by the agency as part of its expansive eavesdropping operations. The NSA is also completing work on another data warehouse, this one in San Antonio, Texas, which will be nearly the size of the Alamodome. Jill, you may already be familiar with this book, but I am reading “Getting Away with Torture,” an extremely well documented and well written treatment of the Bush-Cheney policies. The author is Christopher Pyle, a professor of constitutional law at Mount Holyoke. It provides a virtual blueprint for a prosecutor. You might want to check it out. I agree with your choice! If we do get an SP I want someone like Barofsky, whomever she or he may be. He shows real intergrity and if you listen to the tape at the end, he seems completely sincere when he says what he is doing is his way of serving our country. What he’s doing takes courage and I admire him for it. We need more people like him in our govt. If you have been around since Truman, your comment is way out of line to say it nicely. I guess you forgot about the Nixon years or LBJ’s disaster in Vietnam, or Reagan sending us into huge deficits and dealing with terrorists and then there is the 8 years under George Bush, II. How can you claim that 6 months of Obama is worse than any of those prior Presidents that I mentioned? This Barofsky guy would be a good investigator, but we are putting the cart before the horse. Let’s have Holder announce an investigation of any sort first. 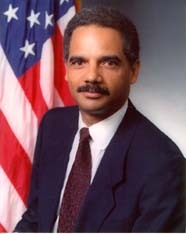 Besides, my guess is that Holder will name a current US Attorney as the investigating attorney. If that happens, I nominate Patrick Fitzgerald. If it is someone out of the administration and not in the Justice Department, I think someone already nominated my choice, Prof. Turley.